TRADITIONS, ART, MUSIC, EVENTS & EXHIBITIONS AGENDA. FEBRUARY 2019. 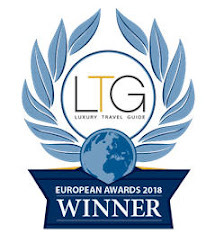 A list of best events for the traveller in February 2019 in the Basque Country in Spain & France, Rioja & Cantabria selected by Aitor Delgado Tours. The most multitudinous and popular carnivals of the Basque Country. From February 28th until March 5th. In Tolosa. In Laguardia. Articulated Nativity Scene. Church of Santa María de los Reyes. One of the few baroque nativity scenes equipped with movement that are preserved today, and arouses great interest among visitors and residents of the area. Performances are offered until December 1st until February 3rd. In Laudio/Llodio. San Blas Festival. Exhibition and sale of agricultural and artisan products, rural sports, elaboration of blood sausages, dance and music shows, a tribute to the baserritarras of the area, tasting of chestnuts, burning and scraping the pig,.. and Txarripatas Gastronomic Contest (pig hands). From January 28th until Febrary 3rd. In Logroño. Pinchos Competition of La Rioja. February 1st to 21st. The 10 finalists are proclaimed on February 21st and the first 3 seats are decided on March 2nd. In Vitoria-Gasteiz. Feast of Saint Agatha. Traditional rounds singing couplets in honor of the martyrdom and death of the saint in the neighborhoods, accompanied by the sounds produced by rods and canes that hit the ground to the rhythm of the couplet. February 4th and 5th. In Mundaka. Carnivals: Aratuste. The most important carnival in Bizkaia, since 1841. From February 10th until 13th. In Bayonne. Irish Celtic: Spirit of Ireland. Choregraphies, explosive clappers, catchy music, brilliant costumes and Paddy, an old Irish alcoholic pub keeper, tells the story of the emerald island and its legends. Lauga Room. From February 13th until March 13th. In Bayonne. Uda Batez Dance. The souletine dance sublimated by the choreography of Fábio Lopez and nineteen traditional dancers of great talent. Lauga Room. February 16th. In St Jean de Luz. Main Carnival. Place du frontón. February 16th. In Bayonne. Basque Carnival. February 16th. In Bilbao. ARCHITECT @ WORK Bilbao. Created by C4 -Creative Fo (u) r. Bilbao Exhibition Center - BEC !. February 20th and 21st. In St Jean de Luz. Cheptel show Aleikum: The Princesses. Urdazuri Gymnasium. February 20th, 21st and 22nd. In Bayonne. Sundays in music: Accordes.com. The six musicians from the Accordes.com ensemble are soloists of the Basque Country Symphony Orchestra and professors at the Maurice Ravel-Basque Country Conservatory. Theater Place of Freedom. February 24th. In Tolosa. The most multitudinous and popular carnivals of the Basque Country. From February 28th until March 5th. In Gipuzcoa. 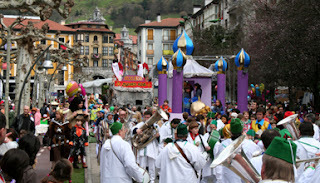 Carnival Celebrations: San Sebastian, Tolosa, Amezketa and Abaltzisketa. February 28th until March 5th. In Alava. Carnival Celebrations: Vitoria-Gasteiz, Zalduondo, Laudio, Santa Cruz de Campezo, Agurain and Salcedo. February 28th until March 5th. In Biscay. Carnival Celebrations: Bilbao, Mundaka and Markina-Xemein. Concerts, dance shows, tastings and various competitions, various activities… February 28th until March 5th. Dada Masilo's Swan Lake. The Dance Factory Johannesburg. Arriaga Theater. February 1st and 2nd. In Bilbao. In Bilbao. "Alberto Giacometti, Retrospective". One of the most influential sculptors-painters of the 20th century. Guggenheim Museum of Bilbao. From October 19th, 2018 until February 24th, 2019. In San Sebastian. “The Invention of the Body” - Nudes, anatomy, passions. He delves into the close relationship between the study of human anatomy and art from the Renaissance to the period of the Enlightenment. San Telmo Museum. From November 23rd, 2018 to February 28th, 2019. In Bilbao. Creative Trend Fair. Crafts Hall. Bilbao Exhibition Center. From January 31th to February 3rd. In Bilbao. 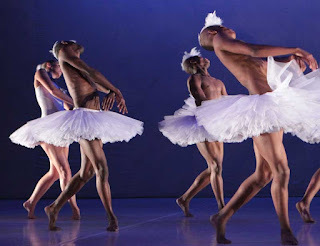 Dada Masilo's Swan Lake. The Dance Factory Johannesburg. Virtuosity and smoke in a show that combines classical with contemporary dance with African influences. Arriaga Theater. February 1st and 2nd. In San Sebastian. Show: Music Has No Limits. The biggest show created with the best international talent. Fusion of opera, house, rock, classical, dance, gospel, jazz ... Kursaal Auditorium. February 2nd. In Bilbao. Bilbao Symphony Orchestra with the pianist María Joao Pires. Mozart and Chopin. Euskalduna Palace. February 7th. In San Sebastian. Concert "Vain Roars". Basque Country Symphony Orchestra with the participation of the violinist James Ehnes. Under the direction of Robert Treviño. Kursaal Auditorium. February 7th and 8th. In San Sebastian. Concert 'There's a Riot Going On'. North American alternative rock group “Yo la tengo”. Victoria Eugenia Theater. February 9th. In San Sebastian. Show: History of Rock. From the creators of Symphonic Rhapsody of QUEEN, live the biggest and most exciting Rock show. Kursaal Auditorium. February 9th. In Biarritz. Russian Imperial Ballet - Romeo & Juliet. It is now directed by Gediminas Taranda, who was the principal soloist of the Bolshoi Ballet and who was trained in choreography by Yuri Grigorovich. Gare du Midi Theater. February 10th. In Bilbao. Concert: Secrets of Sebastian Iradier. Basque music cycle. Tenor Pancho Caruso and piano Rubén Fernández-Aguirre. Arriaga Theater. February 12th. In St Pee sur Nivelle, Biarritz. Dance Season - Co. Gilshamber (Brittany) / TransTeatr Dance Company (Russia). Larreko Room. February 12th. In Bilbao. World Maritime Week. Hosts 4 International Congresses: Naval Contruction (SINAVAL); Ports (FUTUREPORT); Fishing (EUROFISHING) and Marine Renewable Energies (BILBAO MARINE ENERGY WEEK). Bilbao Exhibition Center - BEC !. From February 12th until 14th. In San Sebastian. Concert "Croissant, Plié and Relevé". Basque Country Symphony Orchestra with the participation of Malandain Ballet Biarritz. Under the direction of Mélanie Levy-Thiébaut. Kursaal Auditorium. February 14th and 15th. In Bilbao. Semirade Opera (G. Rossini). Bilbao Symphony Orchestra. Euskalduna Palace. From February 16th until 25th. In Bilbao. MDV Dance: Agate Deuna. Visual and musical spectacle of contemporary dance about female archetypes. Arriaga Theater. February 21th. In Vitoria-Gasteiz. Umbra Light Festival: 'Urbanisms of light. New urban landscapes. February 21st, 22nd and 23rd. In Bilbao. IX Japan Weekend. For fans of manga, anime and Japanese culture. Bilbao Exhibition Centre. February 23th. In Bilbao. Zinegoak: Bilbao’s International GayLesboTrans Film and Performing Arts Festival. Bilborock Hall, BilbaoArte and The Golem Cinemas. End of February 2019. In Bilbao. "From Van Gogh to Picasso. The Thannhauser legacy". Thannhauser Collection of the Guggenheim in New York. Guggenheim Museum of Bilbao. From September 21st, 2018 until March 24th, 2019. In Bilbao. Exhibition "ABC, The alphabet of the Bilbao Museum". On this occasion, it is the words - following the alphabetical order - that order the exhibition. Art and literature are fused through an extended alphabet. It will bring together masterpieces by Lucas Cranach the Elder, José de Ribera, Murillo, Zurbarán, Martin de Vos, Goya, Gauguin, Zuloaga, Sorolla, Chillida, Oteiza, Francis Bacon and Antoni Tàpies, among others. Museum of Fine Arts of Bilbao. From October 29th, 2018 until June 2nd, 2019. In Bilbao. Diana Thater- A world on the run. She is a pioneer of multimedia practice, and in her works traces dialogues with the most representative figures of video art. Guggenheim Museum of Bilbao. From November 29th, 2018 to March 18th, 2019. In Bilbao. Exhibition "Architecture Effects". An innovative look between art and architecture; and the connections and correspondences that emerge from them in the digital age. Initiative of the Guggenheim Museum Bilbao and New York. Guggenheim Museum Bilbao. From December 5, 2018 to April 28, 2019. In Bilbao. Punta Galea Challenge is one of 7 that form part of the prestigious Big Wave Tour, and the only one held in Europe. One day between October 15, 2018 and March 31, 2019. Date to be confirmed. In Vitoria-Gasteiz. Queens Cup of Basketball. 57th edition of the feminine Cup the Spanish Federation of Basketball. From February 28th to March 3rd.